Eric Holder replacements: Listing the candidates. After this year’s State of the Union address. 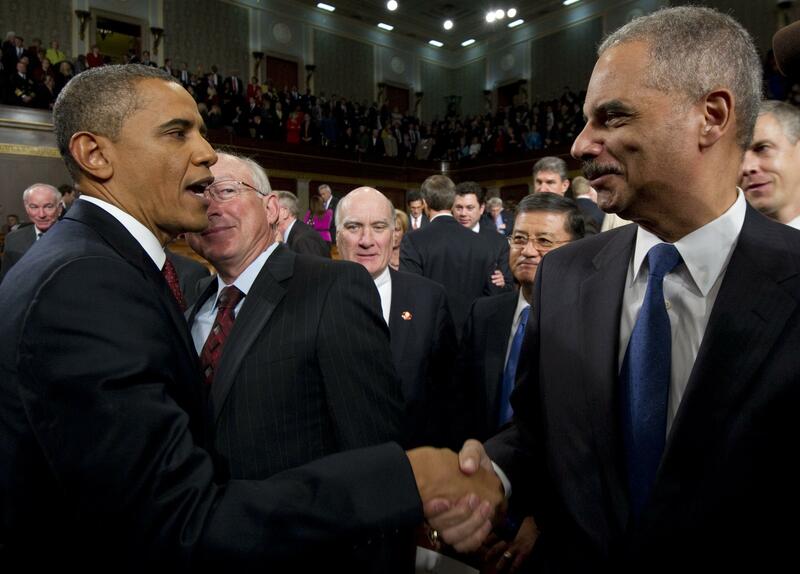 Attorney General Eric Holder announced yesterday that he is resigning. Who will President Obama nominate as his successor? Here are all the names mentioned in reports on the subject in the New York Times, Washington Post, Politico, the Wall Street Journal, and The Hill. Preet Bharara, the Wall-Street-fightin’ United States attorney for the Southern District of New York. Jenny Durkan, who was the first openly gay U.S. attorney and is leaving her position in the Western District of Washington next week. Jennifer Granholm, the former governor of Michigan, who’s an adjunct professor of public policy at Berkeley. Kamala Harris, California’s attorney general, who is both the first woman, the first black person, and the first person with Indian ancestry to serve in that role. Loretta Lynch, the United States attorney in Brooklyn, who prosecuted the Abner Louima police brutality case. Janet Napolitano, the former head of Homeland Security, who’s now the president of the University of California system. Deval Patrick, the governor of Massachusetts. Kathryn Ruemmler, the former White House counsel, who is working in private practice. Donald Verrilli Jr., the solicitor general. Tony West, who just stepped down from his job as U.S. associate attorney general to work for Pepsico, and who happens to be married to Kamala Harris’s sister Maya, who is a vice president at the Ford Foundation. Hell of a family! Sheldon Whitehouse, a Senator from Rhode Island, who is a former prosecutor. * A joke, obviously, since it’s long been known that Obama considers Jeter to be more of a fit for the Supreme Court.